Full 1080p high definition. 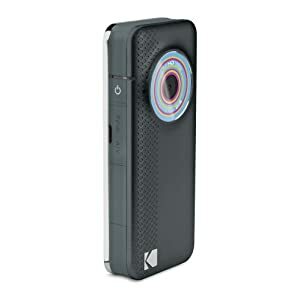 Video length: 10 hours of HD video.4.0x Digital Zoom. 1.5 inch LCD Screen. 128 MB internal memory Connection: micro 2.0 high speed USB. Digital image stabilization. greenish cast, and a little graininess for a retro look. Internal Li-Ion battery. WxDxH: 41.7×100×15.7mm. Weight: 0.095kg. So in complete laypersons terms this is a teeny tiny camcorder that you can film on for up to 10 hours. You can do so in black and white, retro and many other styles/colours. 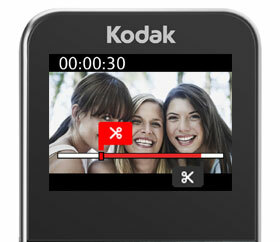 It has the Kodak share button so you can share images directly with man y social media sites like facebook. FlickR and twitter . You can link up and show images directly on your TV. You can actually edit directly on the camcorder. It is very cute and very cool .Perfect for a mum to stash in her pocket. You can take photos with it too and it is really good quality. I found this very simple to use just point and shoot. Next Post What flowers mean to me.